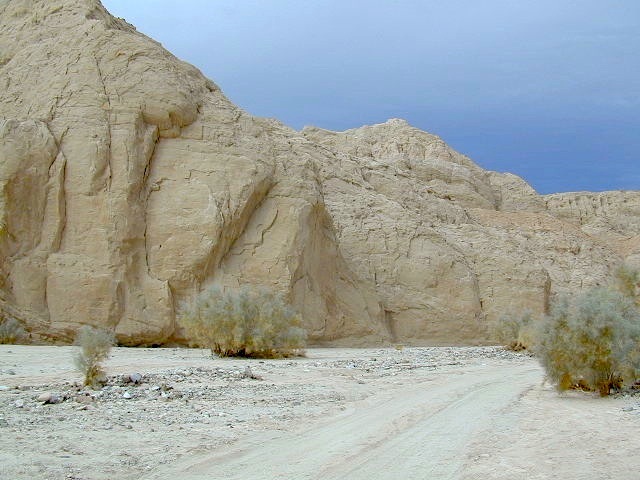 Being the largest State Park inside California, Anza Borrego has certain advantages. Lots of land to explore, abundant dirt roads, free camping and a very diverse terrain. 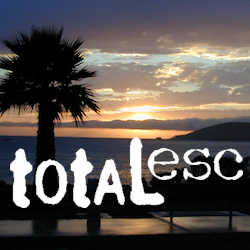 Located in SoCal, this desert has lots to offer the outdoor enthusiasts, all year round. 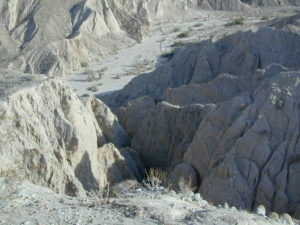 The Anza Borrego desert, in east San Diego County, is quite large and very easily accessible from Southern California. 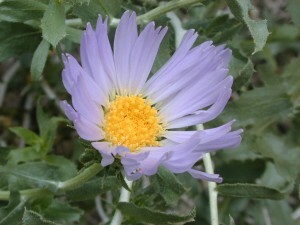 The park spans mid-elevation, mountain foothills (3000′ elevation) down to dry lake beds near sea level. Large, vast and varied terrain – and full of vegetation in certain spots. 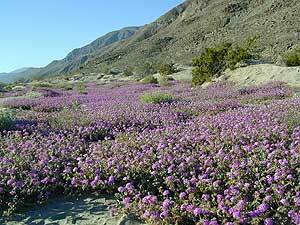 Borrego Desert Wildflower blooms attract thousands of visitors between March-May each Spring. 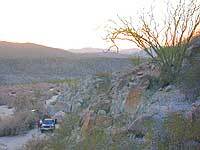 While the majority of the dirt roads inside the ANZA DESERT are passable with a regular passenger car (on most days), some specific areas and routes are indeed considered “too hairy” and may require a 4 wheel drive. Rains change landscape fast in this region, so know before you go. FLASH FOOD WARNING: Wet weather (anywhere nearby) can make a mild, soft, sandy wash into a wild, flowing river. On occasion desert washes are ‘washed out’ during big rain, often becoming mini rivers that can swallow your vehicle; Road and weather conditions can change suddenly in the California deserts. Wind can also play a huge factor in a selecting a decent camp site. Know the weather report in advance and always be on the watch for big clouds on mountains to the west. Deep sand washes, steep sandy hillsides, boulder passes, rock yards to boulder hopping, soggy bottoms to straddling ruts, the deserts of SoCal are indeed fun and challenging. Enjoy your public lands responsibly and pick up some litter, stay on the trail and do not target shoot inside park boundaries. 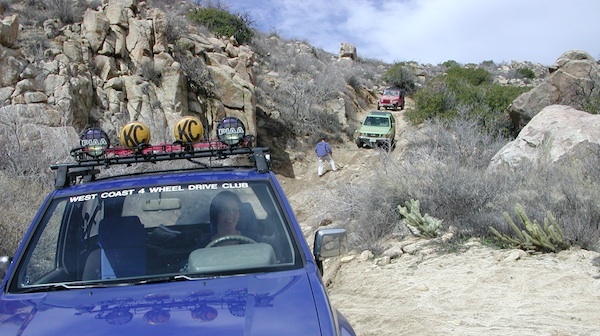 To find these off-roading areas: OHV routes, camp areas and gear heads galore. Or try avoid them. Keep reading. 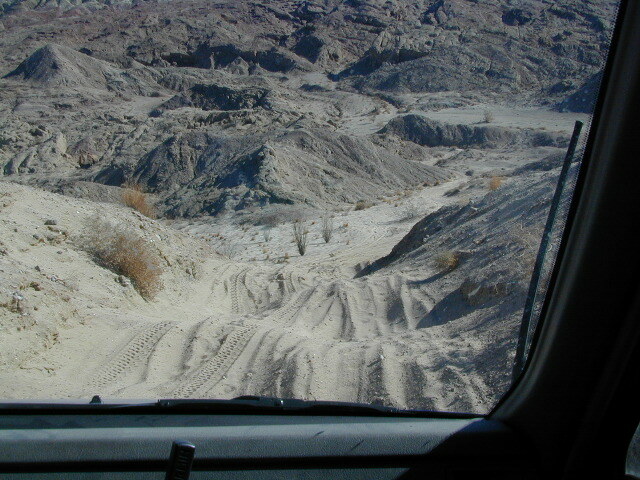 Anza Borrego Desert State Park itself is NOT AN OFF ROAD PARK. If you want the free-for-all, open, OFF-ROAD areas, with sand dunes and terrain to explore, then the list above should help. 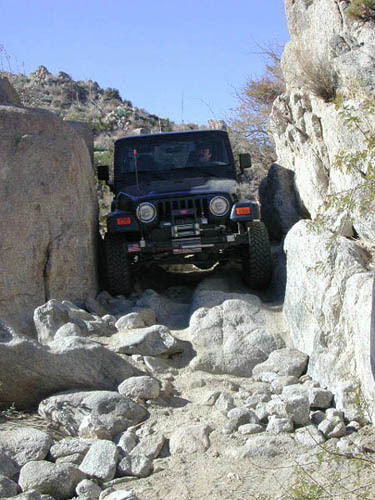 Some places can be secluded and private for camping, and only one Jeep may pass by (for the whole weekend). 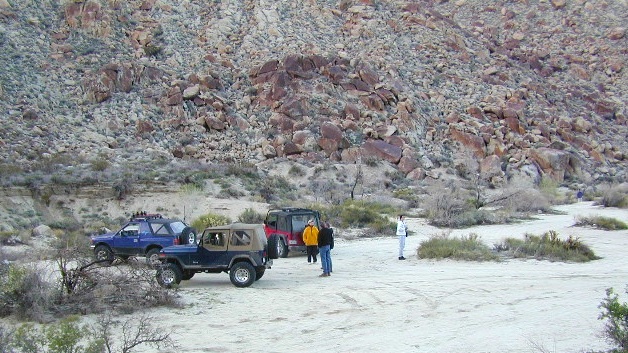 On the other end of the spectrum, most OHV camping areas are closer to paved routes and busy w/ motorized activity. On weekends, traffic, events and crowds are the norm. ATV, dirt bikes, buggies, quads, jeeps, families, RVs. Often, a big noisy scene. Seeking to travel to distant places to avoid crowds? then this site can help point to the best destinations. Follow links, browse images, get a decent topo map – and discover private desert camping for free. most w/ 2WD access; high clearance vehicle is preferred (and as usual, 4WD may be needed in storm conditions). Not all 4×4 routes will be signed. Signs get washed away in desert areas, so don’t count on them. Have a good hard-copy, topo map handy – just in case. Out exploring the Culp Valley Area, one fine Sunday afternoon. 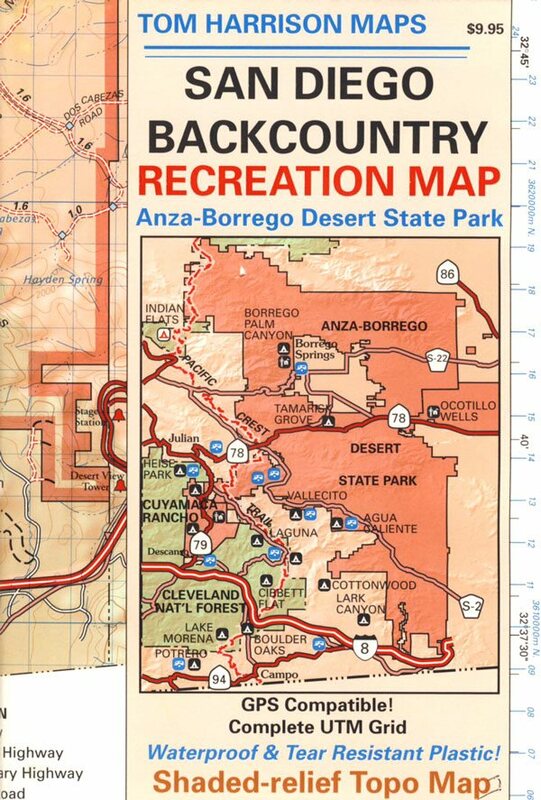 The Tom Harrison Map of Anza Borrego Desert is actually called the San Diego Backcountry Recreation Map and is by far the best seller of the region. Wilderness Press makes an excellent topographic map for the Borrego Desert, with all the details on terrain and info for camping, hiking & off roading. The infamous west coast backpacking route, the Pacific Crest Hiking Trail runs above the desert (a few thousand feet), on the ridges of Mount Laguna. Wetlands in the desert? Not that rare, water does flow downhill. 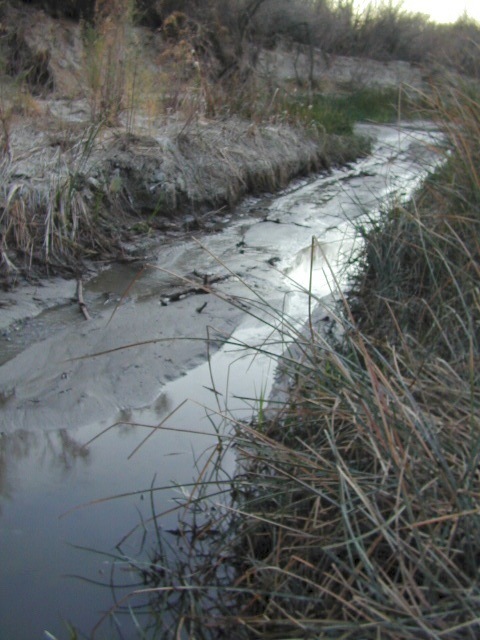 Some established well-traveled roads may have added gravel to the soggy marsh areas, but many water crossings are bare, and vulnerable to erosion. Try to avoid driving in and around water. DRIVE SLOW through water where route crossing is obvious. Wildlife need these water sources to survive, so don’t muck it up. Palm canyons and large boulders are numerous in this desert, water sources scarce. Camping near palms can be limited to walking distance. Several palm oasis camps along San Diego County Road S-2, some RV accessible. Even the county-run Hot Springs Park has some palms. Of course, Palm Canyon is the State Park Campground. Visitors Center headquarters in downtown Borrego Springs has the most popular hikes, hotels, restaurants, with abundant campground camping. Very walk-able town. Super hot during summer, triple digits! Weekends are always busier than week days, in general, all over Cali. Keep that in mind when seeking seclusion. Camping in Anza Borrego desert is always best at least 2 miles off the pavement, well away from the traffic on the highway and for those masses seeking the easy camping. Campfires always require a metal bucket in Anza! 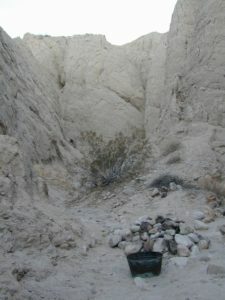 OPEN-CAMPING: camping outside of developed campgrounds, also referred to as ‘primitive camping’ is quite common in Anza Borrego desert. 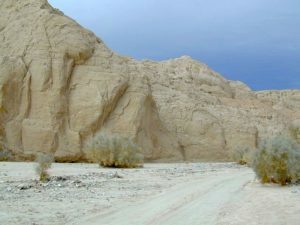 Many Borrego Camping Areas are accessible with regular cars, close to main roads and usually have no bath rooms, or facilities. The further you drive from the pavement, the more likely you are to encounter obstacles like boulders, deep ruts, soft sand and uneven terrain.